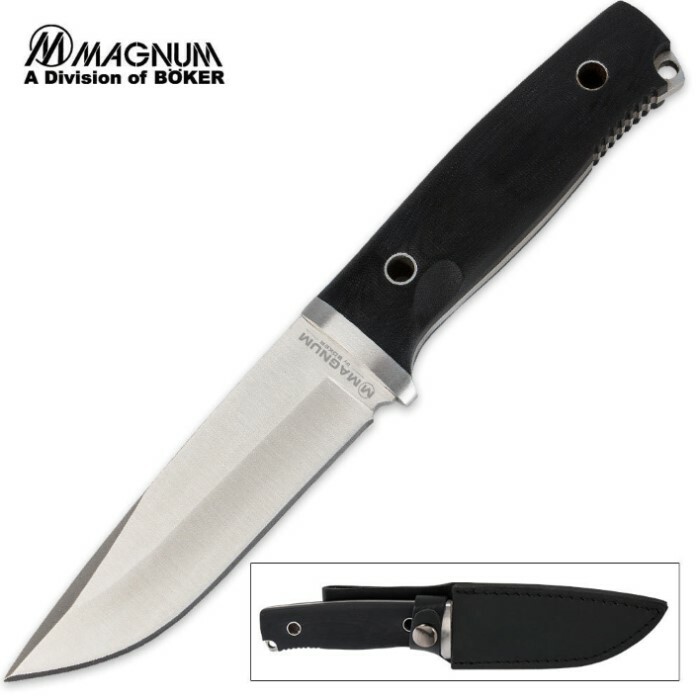 Boker Magnum Dayhike Fixed Blade Hiking Knife | BUDK.com - Knives & Swords At The Lowest Prices! Boker Magnum's Dayhike fixed-blade knife is a great choice for hiking, camping and a good all-purpose fixed-blade knife. 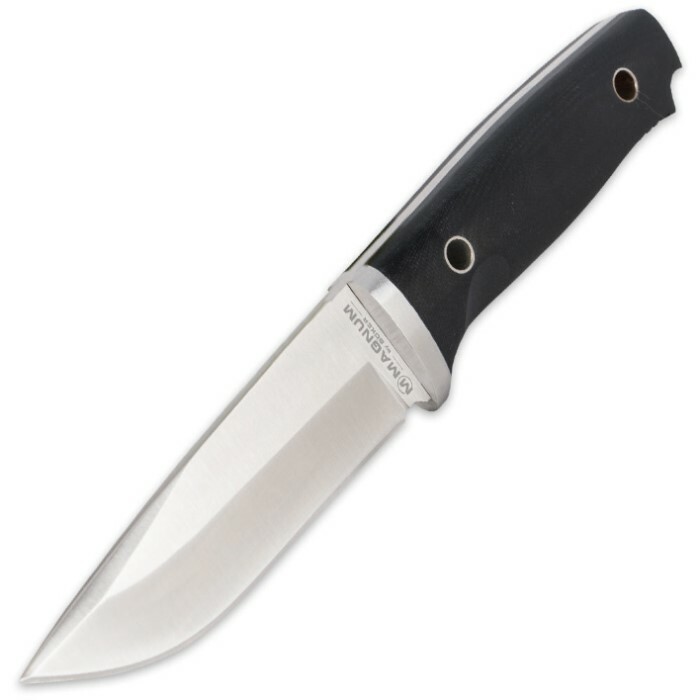 The Dayhike features full-tang 440 stainless steel construction with a sharp edge and modified drop point. 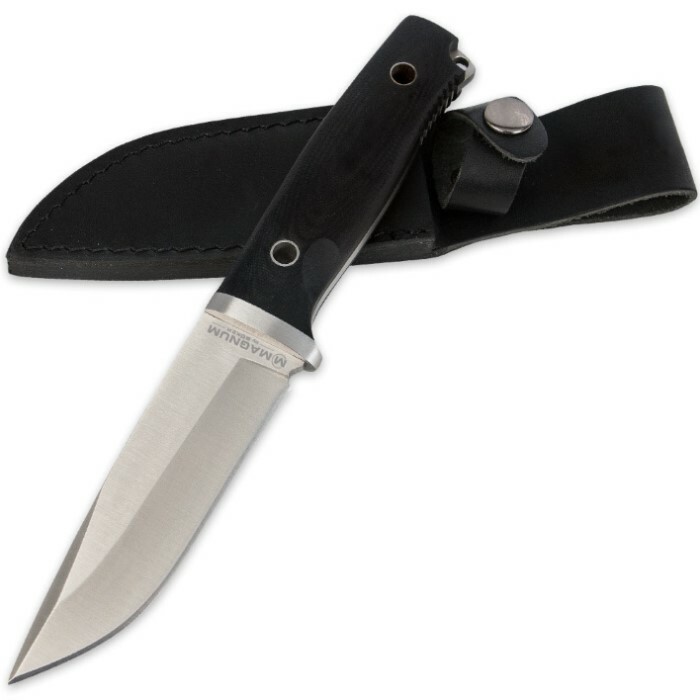 Contoured micarta grips encase the handle, which features an exposed tang with a pre-drilled lanyard hole. No matter what you have in mind for it, the Dayhike from Boker Magnum is a great selection for your knife collection.